The Historical Society of Michigan announces its 2017 State History Awards, which will be presented during its annual State History Conference in Holland, Michigan, Sept. 22-24, 2017. The 2017 State History Award for Institutions will be presented to the Local History and Genealogy Collection at the Hoyt Library in Saginaw. 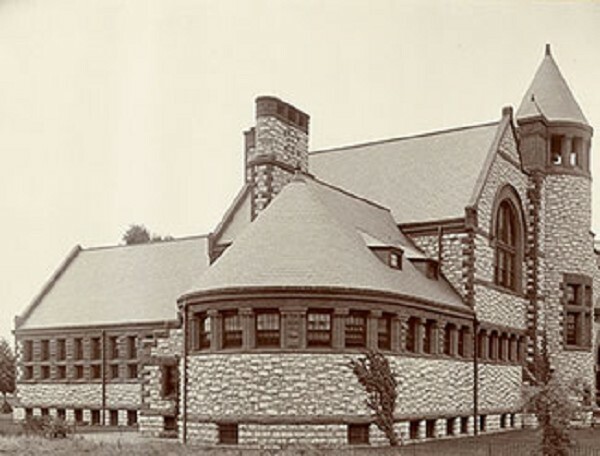 The Hoyt Library opened in 1890 and, in 1960, created its local history and genealogy department as a central repository for Saginaw history. The department now numbers among the Midwest's premier local history collections. In 2016, the library added a Saginaw Latino American Community Collection to represent and preserve Saginaw County's Latino-American culture. The University of Michigan in Ann Arbor for "True Blue! A Tribute to Michigan"
The State History Conference explores significant people, places, and events in Michigan's past through a diverse offering of keynote speakers, breakout sessions, workshops, and tours. Each year, the conference moves to a different location to feature the local history of that area and to address notable statewide historical matters. Standard registration ends Sept. 10, 2017. Late registration takes place Sept. 11-18, 2017. Registration details and full session descriptions are available in the conference brochure. Dr. Barnett became a familiar figure to countless amateur and professional historians through his 23 years as a reference archivist for the Michigan History Bureau. 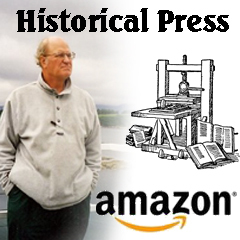 Barnett has researched hundreds of papers and articles for various publications and has written numerous books, including "Mining in Michigan," "Shipping Literature of the Great Lakes," and "Michigan's Early Military Forces." Toni Rumsey manages the Newaygo County's museum's reference department and archives, where she has compiled and digitized a vast amount of information about the area. She has served on the museum's board of directors, written books about local history, created exhibits, led tours and trained other volunteers. Her tireless work on behalf of the museum and local history exemplifies the spirit of volunteerism. Detroit architectural historian Michael G. Smith is honored for his book "Designing Detroit: Wirt Rowland and the Rise of Modern American Architecture," published by Wayne State University Press. The book spotlights the work of little-known but innovative architect Wirt Rowland, the chief designer working under Albert Kahn, and analyzes Rowland's accomplishments in building design and his influence as a leader of Detroit's architectural community throughout the first half of the 20th century. The University of Michigan's production of "True Blue! A Tribute to Michigan" is a live-action multimedia presentation celebrated the bicentennial of the university's founding. It incorporated music, theater, and dance and featured celebrated alumni performing alongside faculty and students from many University of Michigan schools and colleges. Frances Kai-Hwa Wang's article "Vincent Chin: A Catalyst for the Asian-American Civil Rights Movement" appeared in the magazine's March/April 2017 edition and examined the 1982 murder of Vincent Chin, a Chinese-American auto industry draftsman. Two men were charged with second-degree murder, pled guilty to manslaughter, and were sentenced to probation and fines. The light sentence outraged the nation's Asian-American community and led to changes in hate-crime law and minimum sentencing, along with recognition of victims' rights.